SAINT LOUIS, April 11, 2013 -- The fields are set for both the 2013 U.S. Championship and 2013 U.S. Women’s Championship, scheduled to be held simultaneously May 2 through May 13 at the Chess Club and Scholastic Center of Saint Louis (CCSCSL). Tony Rich, executive director of the CCSCSL, said the expanded field is sure to encourage fighting chess with many decisive results. “With such a dynamic field, this year’s event is shaping up to be our most exciting U.S. Championship to date,” Rich said. With Nakamura out, a number of youthful challengers hope to usher in a changing of the guard including reigning World Champions IM Kayden Troff (U-14 World Champion) and IM-elect Sam Sevian (U-12 World Champion). Among other new faces at the U.S. Championship is GM Timur Gareeev, who recently transferred federations from Uzbekistan and is coming off of an undefeated, first-place finish at the North American Open in Las Vegas this past December. In addition to the $180,000 prize fund, the CCSCSL again will sponsor the “$64K Fischer Prize,” to be awarded to anyone that scores a perfect 9-0 in the U.S. Championship, in honor of Bobby Fischer’s result at the 1963-64 U.S. Championship. 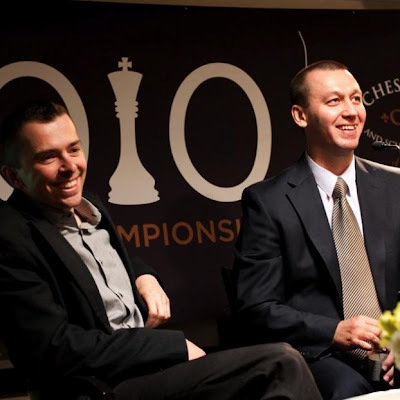 For the first time in the five years the CCSCSL has hosted the event, organizers are bringing in three commentators to provide even more extensive live coverage of the games and more in-depth player interviews and post-game analysis. GM Yasser Seirawan, GM Maurice Ashley and WGM Jennifer Shahade will provide live play-by-play coverage of the event via www.livestream.com/uschess. Additionally, the live coverage will be picked up by FOX Sports Midwest online, with a special hour-long recap of the event airing on FOX Sports Midwest on May 25. Franc Guadalupe will be the chief arbiter for the U.S. Championship with Carol Jarecki helming the U.S. Women’s Championship. Check www.uschesschamps.com for the latest updates, full player bios, info about past U.S. Championships and news about the top players in the U.S.